When planning an embroidery project, it’s always best to assemble the proper products first. Knowing your fabrics is a huge start. The weight and feel of the fabric will factor into your choice of design, as will the project itself – is this for a pillow or a tee shirt? Are you making a embroidered jean jacket for your teenage niece or for your favorite elderly aunt? But sometimes, you want to pick a cute embroidery design first and select the fabric to coordinate with that. The rest will follow. There are several options available to you from which you can select your design. As you work on projects, save the original designs and you’ll begin to build your own embroidery library. Obviously, you can always go to your local hobby or sewing shop and purchase embroidery design patterns there. And if you have friends who are also hobbyists, trading is a great way to share designs. But if you want the widest range of options, the Internet is your best bet. A basic Google search will provide you with a wealth of opportunities. Some of our favorites are those with unique, cute embroidery designs that you might not find elsewhere. This site has designs ranging from cute bunnies to punk sugar skulls. They also offer limited time designs, free designs – especially great for the beginner just building an embroidery library – and video tutorials. 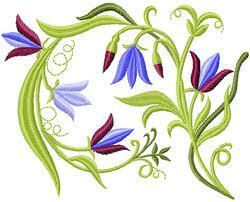 The site and designs are divided into hand and machine embroidery for easy searching. This site has designs divided by category. It also features a Request of the Week in which a reader submits a request which is then digitized into a design fit for embroidery. Also featured is a Dollar Days sale in which featured designs are sold for $1 each. This site, too, has a section for limited time free designs. This website is good for creative ideas. It has lots and lots of design examples in the style of Assisi and well as Chinese designs and plaiting. The photos and graphics on this site are stunning. There are weekly patterns available that could be adapted to any project. These sites are just a sampling of the many available to you in the process of finding cute embroidery designs to use with your embroidery stabilizer to achieve amazing finished products. Whether you are making items for yourself or for gifts, all it takes is a little thought and effort to make something unique and amazing. Utilize those sites and blogs that offer free designs in order to build your embroidery library. With a quality stabilizer securing your designs, your embroidery can become treasured artwork.